Boulder Brook weaves its way through the forest of aspen trees on an autumn day in Rocky Mountain National Park. Few locations in Rocky Mountain National Park are as beautiful on a fall day as the Boulder Brook area is. 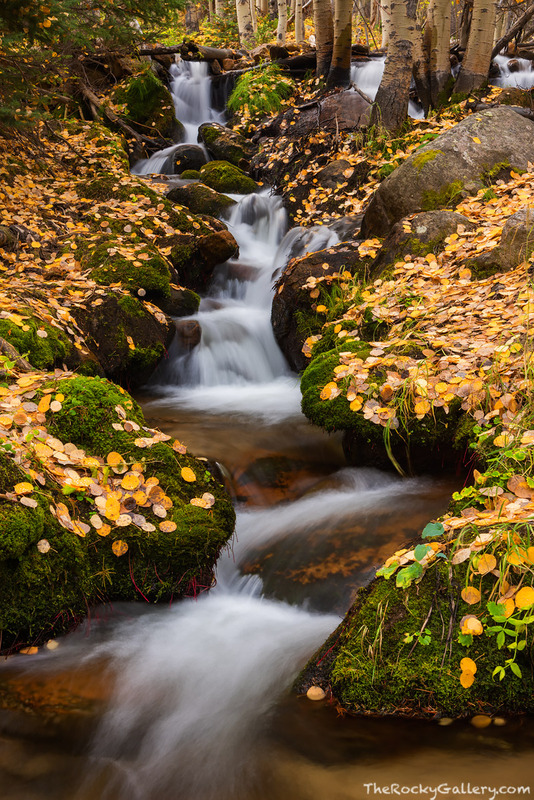 Boulder Brook will weave through the forest and forest floor which is covered with beautiful golden aspen leaves. Photo © copyright by Thomas Mangan.